Canada is considered to be one of the most “Ukrainian” nations outside Ukraine, and this is not surprising because more than one million Canadians of Ukrainian descent constantly support and actively help to develop productive relations between Ukraine and Canada. Recently, the two countries signed a Free Trade Agreement; and it will simplify export and import relations and make cooperation between Ukraine and Canada even stronger. 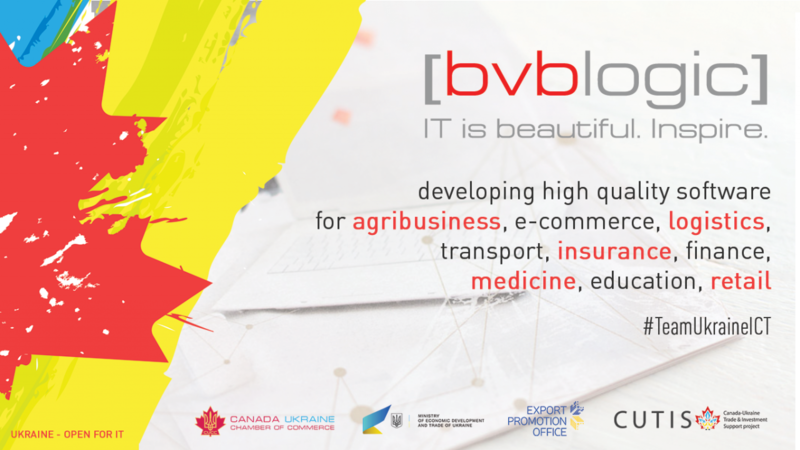 Last week a great and unique event was organized – the first Ukrainian IT-mission to Canada for Branham300, and our [bvblogic] company had the honor to be a part of it. Preparations for the Mission began quite a long time ago. There were 50 companies – applicants from Ukraine. The selection was done by the head of the Canadian rating company BRANHAM – Wayne Gudbranson. [bvblogic] company successfully passed the selection and became one of 17 participants that were given an opportunity to visit the first Branham300 Launch Event. 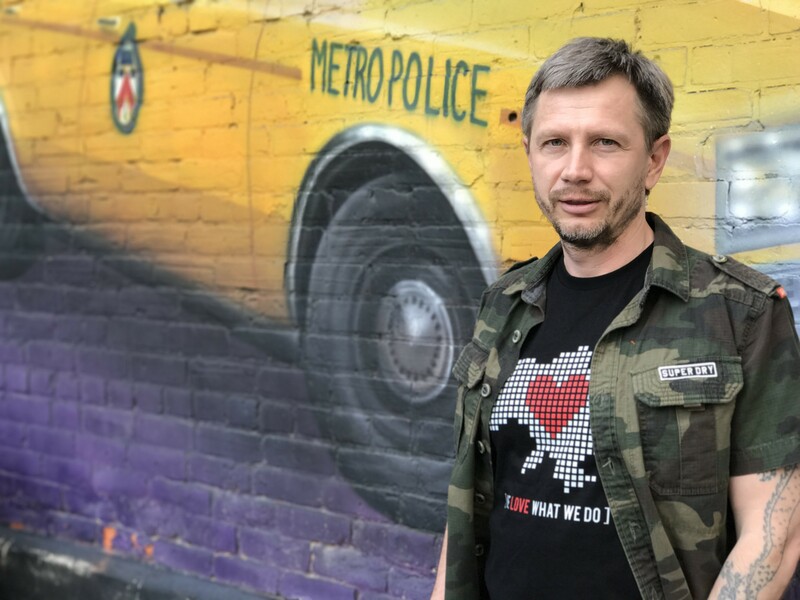 Thus, 17 progressive Ukrainian IT companies participated in this prestigious forum for the information technology sector from May 29 till June 1 in Toronto. This is an annual event in Canada, held since 1990; and it is a discussion platform for the heads of the largest companies to open new markets and to find partners. For Ukraine, it was an unprecedented event because we joined the Mission for the first time. Our Business Development Manager Sergey Pinigin shared his impressions with us. Toronto is the technological capital of Canada. The offices of the largest traditional businesses are concentrated there. And it is also the largest startup ecosystem in Canada. So, this was a perfect place for Ukrainian IT-mission. From the Canadian side the organization was held by Branham Group, which defines Branham300 – ranking technology companies in Canada. 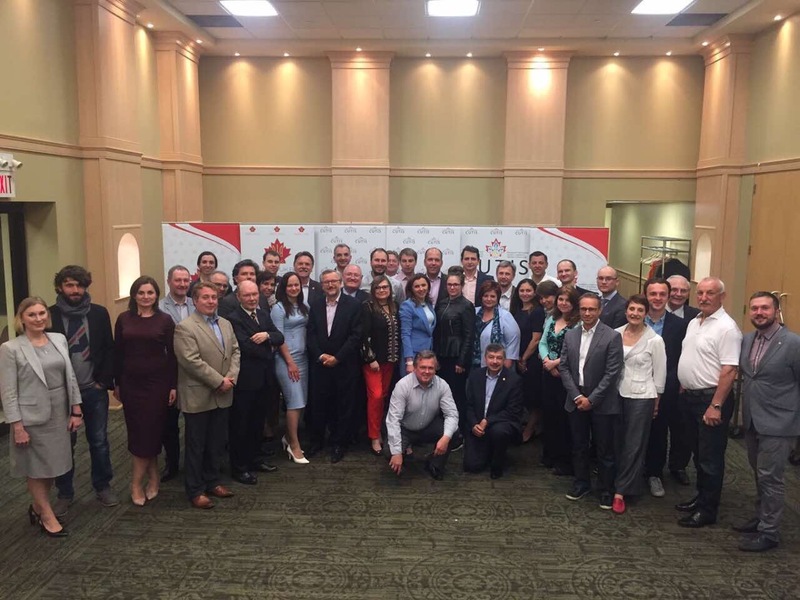 Its CEO Wayne Gudbranson acted as a living bridge between Ukrainian and Canadian industries, not only arranging personal meetings and networking with representatives of Branham300 but also being a source of industry expertise. From the Ukrainian side the project was supported by the Ministry of Economic Development and Trade of Ukraine headed by Natalia Mykolska, Ukraine-Canada Chamber of Commerce, and direct organization engaged CUTIS team – Canada-Ukraine Trade & Investment Support project (which is supported by the Government of Canada, which shows the interest of the country in cooperation with Ukraine). In addition to communications with potential customers, IT mission exhibited two more functions. Firstly, it works as a technological hub: it seems like being far from the homeland, relations between companies are improving faster and more efficiently. Secondly, it is an effective tool for two-way communication with the government. Deputy Minister of Economic Development and Trade Natalia Mykolska and the head of the Export Promotion Office Maryana Kahanyak stimulated informal dialogue on how the government can better support the development of the industry. Natalia Mykolska did the great job to promote the image of Ukraine as a technological partner for Canada. She gave several television interviews and made an emotional speech for the leaders of the technological market. There is a large Ukrainian diaspora in Canada. It has been growing from several waves of emigration. A part of it is generations born already there, but they continue to identify themselves as Ukrainians. Many of them have built a successful career in Canada, some of them have a successful business there. It was nice to see their interest in cooperation with Ukrainian companies and their desire to support Ukraine! 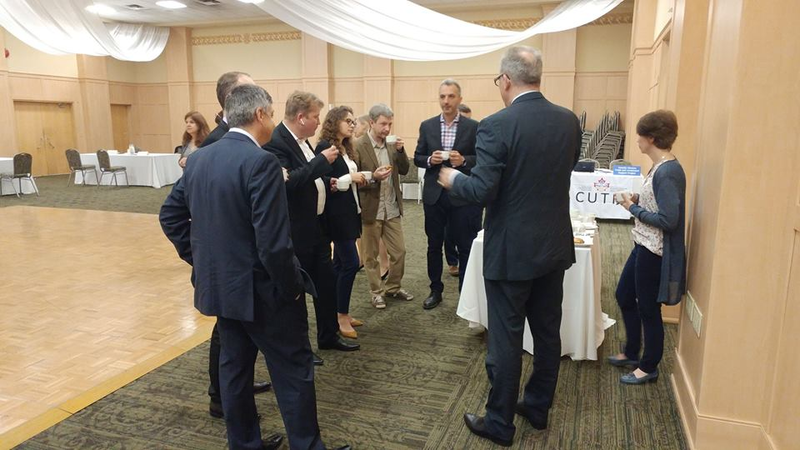 These were three extremely active and intensive days, full of presentations of promising Ukrainian companies, products, and services which are potentially interesting to the Canadian market. Besides that, there were lots of discussions on the development of the Ukrainian IT sector and prospects for its growth. We managed not only to present our companies for potential Canadian partners, but also to draw attention to the IT sector in Ukraine as a whole. Branham300 is top 300 companies in Canada that are determined on specially developed criteria. 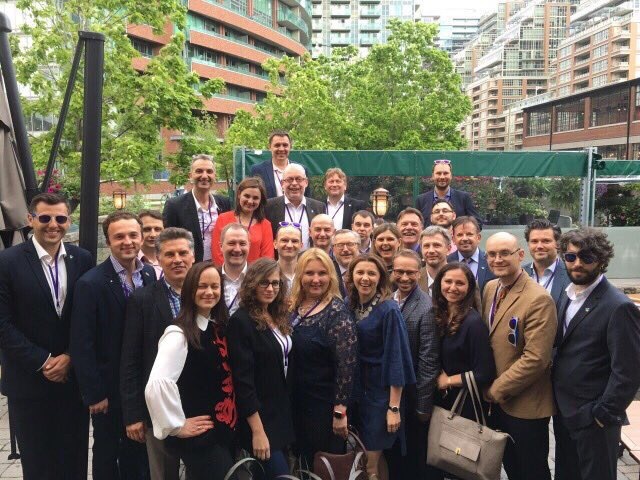 So, the representatives of Ukrainian IT companies that participated in the Mission had an opportunity to communicate with three hundred top managers of Canadian technological companies during the traditional series of B2B meetings. It was an amazing experience! 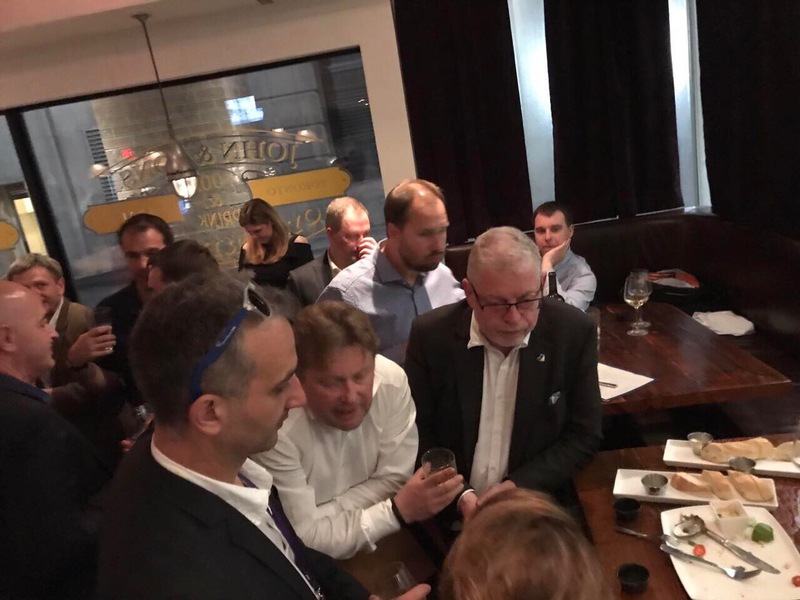 The final evening was an event in an Irish pub, where leaders of Ukrainian and Canadian companies gathered to discuss the situation in Ukraine and the development of the economy. 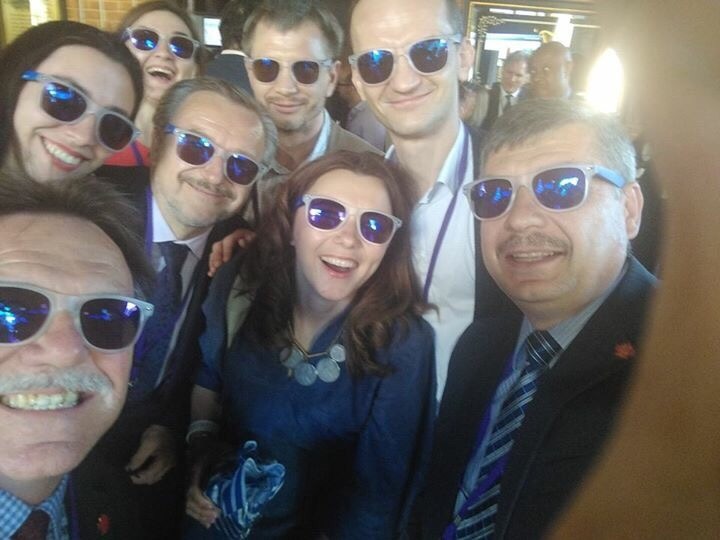 The CEOs who participated in the event were Canadians, French, Mexicans, and many representatives of the Ukrainian diaspora who always actively lobby for Ukrainian interests. Ukraine’s participation in Branham300 was not finished with the Mission itself. 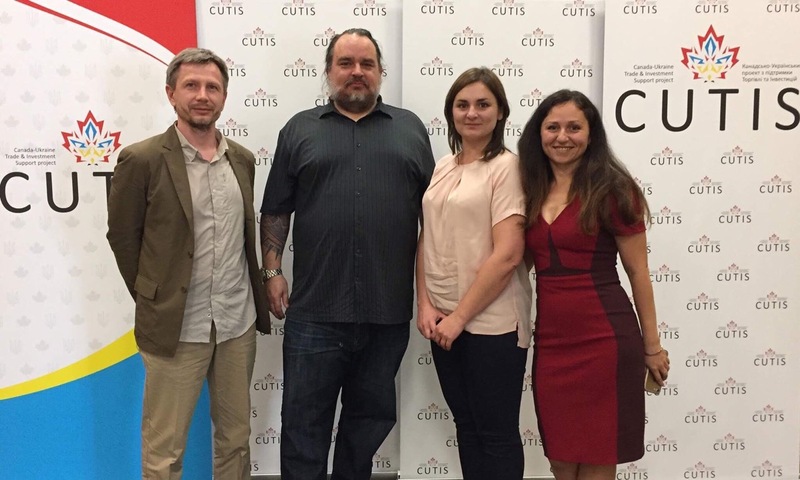 During the current year, Ukrainian IT companies will be able to communicate with representatives of the Canadian technological sector for cooperation and discussion of new opportunities. The short brochure can be found here.